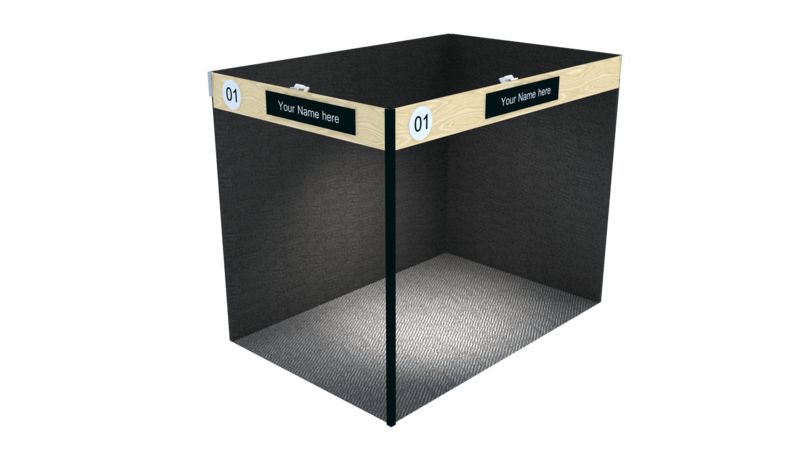 Make exhibiting easy for your exhibitors by offering an inclusive exhibition stand package. Recognising a desperate need for innovation, Events 720 has designed a bespoke exhibition shell system completely unique to the local market. As forward thinking event suppliers, Events 720 saw the need to offer an alternative to the boring aluminium and white wall stands currently offered by many other event suppliers. You offer something that your competition doesn't. 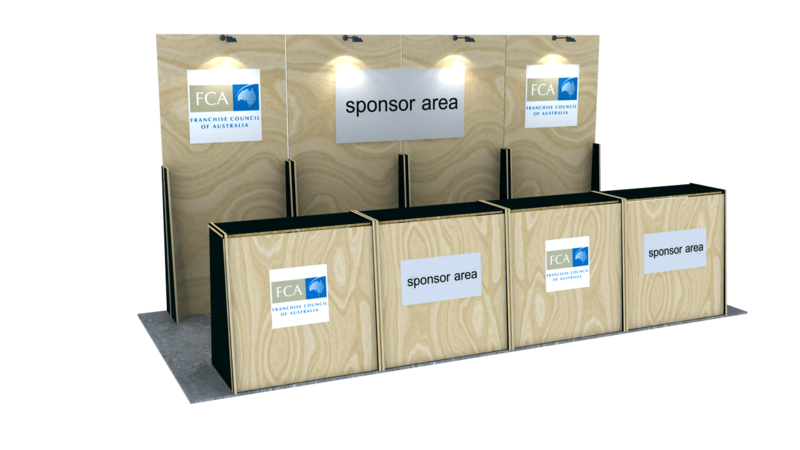 With a great looking shell-scheme stand that doesn't break the bank, you can offer a shell-scheme stand that helps your exhibitors stand out. We also offer registration counters for event organisers that have plenty of space, this allows for easy registration processes for the duration of your event. There are various stand accessories, furniture packages and AV equipment available for exhibitors to hire to improve their exhibiting. Our shell-scheme stands are available in two different configurations, 3x3m or 3x2m. This allows some flexibility depending on the location of your event and how many exhibitors you have. The price of our shell-scheme stands works on a scale of volume of exhibitors. Contact us for an accurate quote to use our stands at your event.